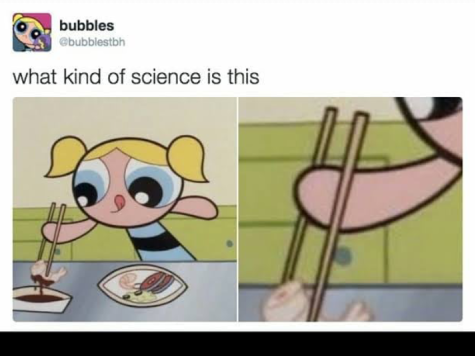 Ah memes. The glue that keeps the internet laughing as an NSA agent watches you. During these times of no privacy, dwindling freedoms online, and cybersecurity nightmares, we need a little laughter don’t we? And the internet does not disappoint! Here you have it, top 10 funny tech memes! Enjoy! 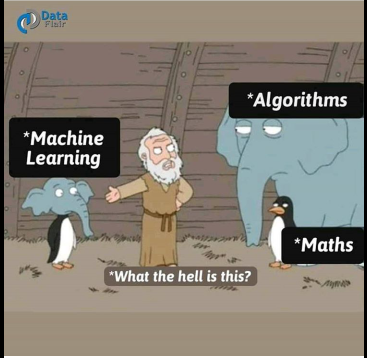 How Machine Learning is about math & algorithms put together. Machine Learning….well, it’s not wrong. I don’t know who made this, but it’s number 1 for a reason. I actually spilled my tea on myself because I did an actual lol. Koodos to the creator, you did well. CyberSecurity professionals are secure in all aspects of life- from work to the home. Accurately hilarious. Cybersecure all of it! It’s how most IT security nerds like myself live. I have a Plasma wide screen TV at home, and will try to prolong getting one of these smart TV’s for as long as I can. I refuse to have backdoor spyware or hackers watching me and recording me without my knowledge or consent, or doing the same to my wife and kids. 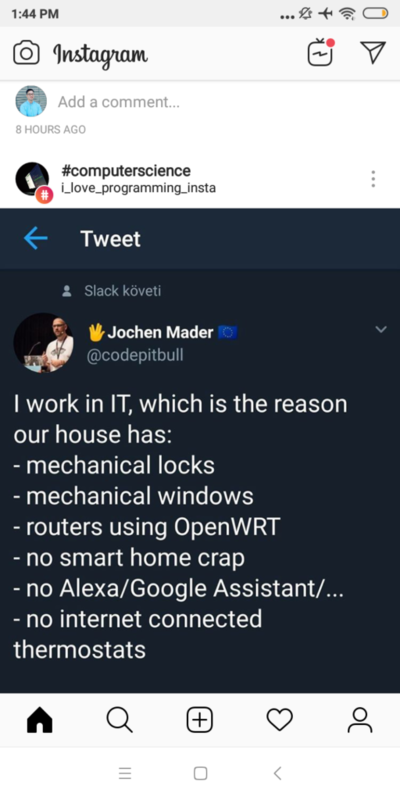 I also encourage you to drop your smart home camera’s, and set up your own system, because the one’s connected from the internet, from a company, is an easy hack as many hackers have shown on youtube. Your kids, your wife, your husband, your family and friends, are up to become a victim of spying. Baby monitors as we seen in countless youtube videos are the easiest hack, where the perpetrator can actually watch your child sleeping and even talk to them in their sleep. Experts are warning people, but people have seemed to make these dangerous devices as an accepted normal reality. You also have to consider your smart locks- you know what I want to say right, because I’m sure you see a pattern. This is a scary reality- 100 million of you with these devices are probably already hacked. Apple products like Iphone’s are expensive! 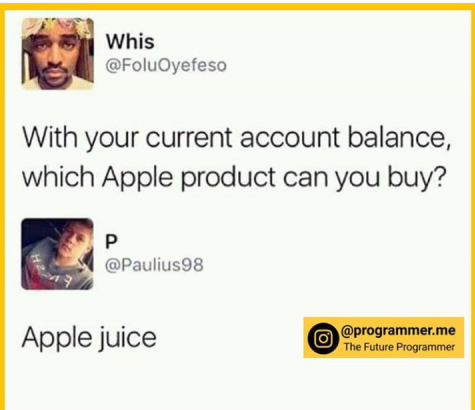 We can afford apple juice right? I think we all understand that Apple products are ridiculously overpriced for what they do. You’re paying high price for backdoor spyware privacy breaches. Despite Apple saying over and over again that they are not working with the NSA, nor have they worked with them to make the Iphone, the Snowden leaks show otherwise- it’s the law, Apple doesn’t have a choice but to have that backdoor. That fingerprint is going to be entered in a PRISM data base, where you can be traced and tracked easily combined with facial recognition software. This isn’t a weird Mission Impossible movie, it’s reality now. I don’t own an Apple phone. I used to own an iphone back in the day before the zombie ‘everybody is the same’ theme started. Now I own different phones that have different purposes, but yes I own a flip phone too. 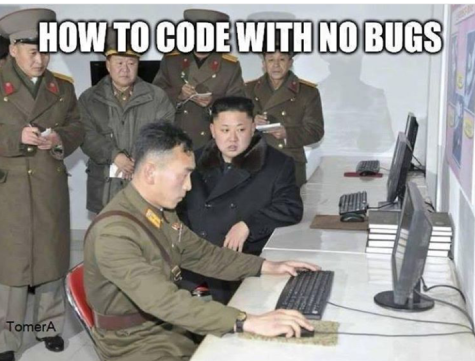 Programmers work hard to rid their code of bugs, but sometimes they persist, and then it becomes a feature. It’s fine, it’s a feature you see. Ever cry while programming lol But I want to take this opportunity to talk about how depression, anxiety and many other disorders are common and growing in developers and programmers. Technology is a very high stress position, often overworked, under appreciated and rewarded. I think more efforts need to be made on part of the companies that employ tech professionals in high stress positions like programming and developing to cyber security, to increase paid days off, to encourage more rest, to give rewards & other freebies to make their life/job easier. 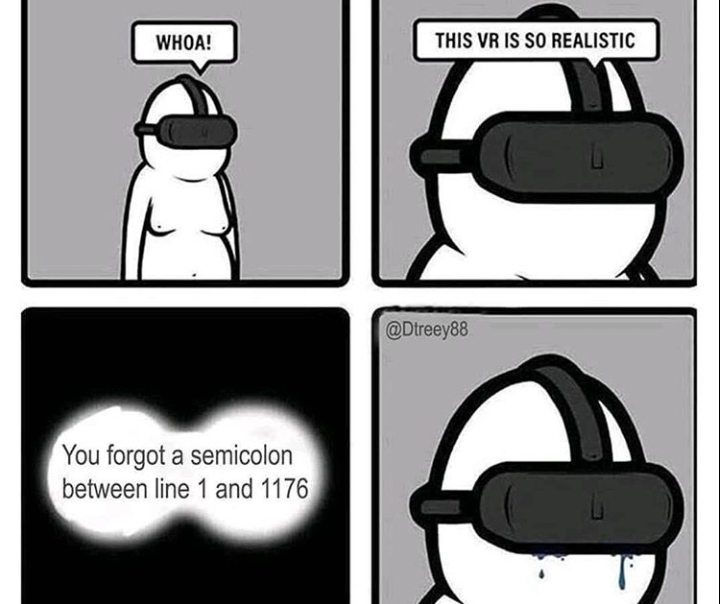 Programmer for hundreds of lines only to realize a ; is missing somewhere in the code. You do not understand pain until you have done this. Those tears are very real, I can assure you. I cannot tell you how much missed that semicolon during coding with python, until I had to C again and thought to myself, why did I ever miss you! 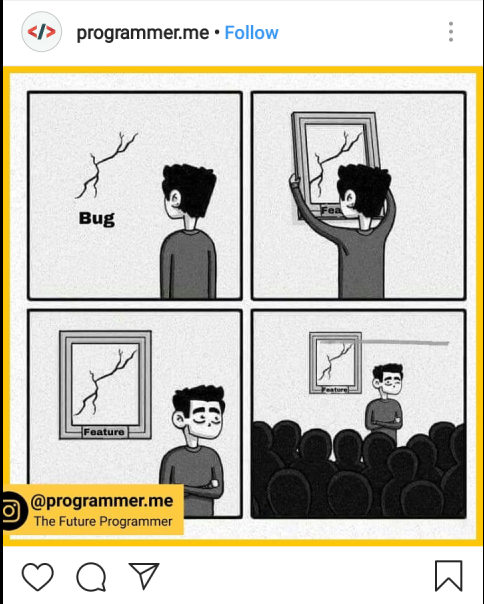 A developers life in tech is never easy. You regret everything- admit it. 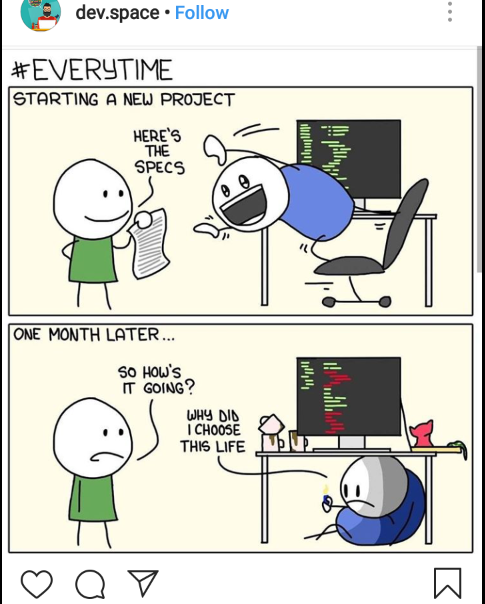 As I pointed out earlier, as funny as this comic is, it’s a reality for majority programmers and developers. The work is hard, the pay is often crap, and the stress is very high pressure all the time. We need a fix in attitude from companies and employers about what programmers/developers/cybersecurity professionals are. Most IT related careers are high stress, they not only work at work, but work again from home. The cycle is never ending, the attention to detail is always at max. 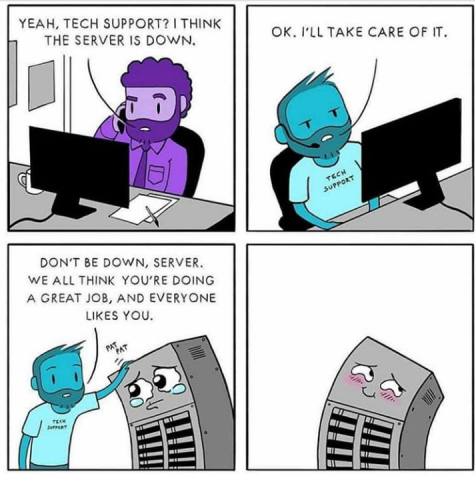 So be generous with your tech team. Learning C plus plus isn’t easy. You have to first learn patience. It’s not just 1 video, I can assure you. 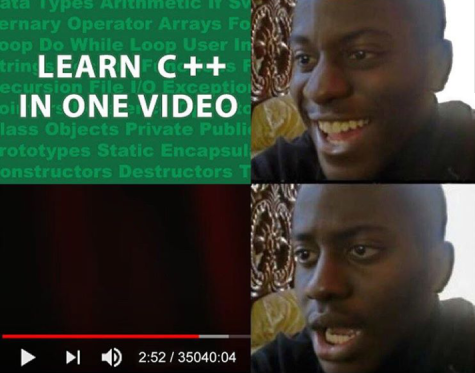 When I first saw this, I didn’t get it right away, until I saw the time – 35040 hours LOL That’s probably video 1 to be honest hahaha C++ isn’t a quick and easy learn. Well…I don’t really want to comment on this but programmers in ALL countries have it hard, but this, THIS is sweat inducing just looking at it. Get it right bro…That’s A LOT of pressure right here. This is witchcraft I say!…This isn’t 100% tech, but I thought it still fit because….look at it, there is no way this is happening right now. 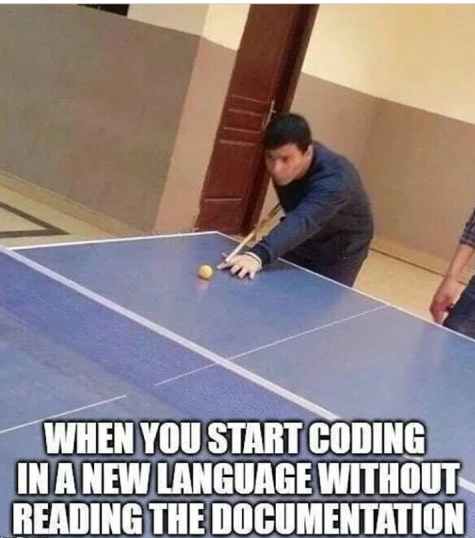 Learning a new programming language is never easy, but as long as you have determination and accept that it will be difficult but you’ll get through it, you’ll be fine on your journey. At Techrich, we care about our equipment and our clients. 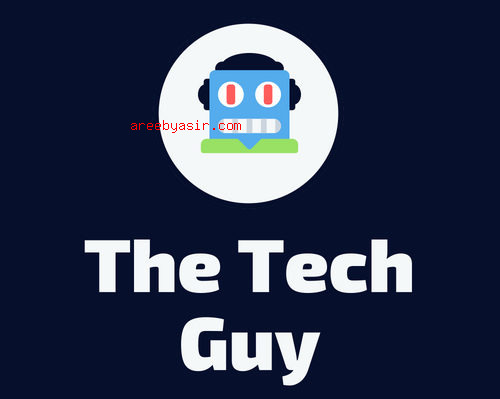 So contact the tech support guys there an see how they can help you. I had made it a policy when I first started to not hire sales, but all support. They don’t need to sell you things, you make you upgrade if you don’t need to, they just focus on what you need and recommend services based on that. I think in tech we need laughter, we need humor. Technology sector is one of the most overworked, underpaid, and under appreciated fields out there. With insane competition. 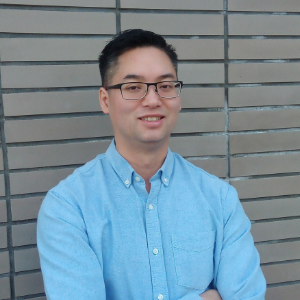 A trend in Canada in particular is hiring the least amount of people for the least amount of money, without giving recognition or titles that match the person’s workload and skill set. It’s why many employee’s don’t stay loyal and are quick to leave for something better each time. There is, I feel, a misconception and misconstruing of numbers when we talk about ‘how there are tons of Tech jobs that aren’t being filled and there’s a shortage of cyber security specialists’. No there isn’t a shortage of this at all. What’s happening is a messy combination of foreign temporary workers, immigration, companies looking to hire the ‘cheapest’ person, and focusing on ‘paper’ not skills/experience. This is greatly costing the tech sector. This results in, people being overworked, underpaid and under appreciated ….it’s a horrible cycle and I think companies need to do better about the way they deal with their IT department. They are the life line of your company, treat them right. Grab them lunch every now and then. Give them a gift certificate for something on their birthday or work anniversary, or just because. They are not slaves, but they really do slave away, often taking work home and letting it affect their home life. Remember, we are not robots, and though you’re thinking AI will replace them soon, but that won’t happen for at least a 100 years. Next story Would You Buy A $2k SmartPhone That Folds?